In the West everyone knows the story of the Croat, Marco Polo, who traveled from Italy to the court of Kublai Khan in China in the 13th century. Whilst it has become a fairly common belief that Marco Polo, in fact, didn’t go to China, but instead took his stories of China from merchant sailors, his story does give us an interesting insight into 13th century China through the eyes of a Westerner (or Westerners). However, the fact that there is a reverse Marco Polo story seems to have been missed by most people. At almost exactly the same time a Nestorian Christian called Rabban Bar Sauma was sent from the court of Kublai Khan to Western Europe as an ambassador to the Pope, the King of England, and the King of France. In 431 AD the Patriarch of Constantinople, Nestorius, was cast from his see by the First Council of Ephesus. His crime had been to declare that the Virgin Mary was not “Theotokos” (mother of God) as he was worried that the veneration of the Virgin Mary was getting dangerously close to worship. Many of the bishops took this to mean that he did not believe Jesus was the son of God and so was condemned as a heretic. Nestorius retired to a monastery in Antioch but his followers persisted in spreading the form of Christianity that became known as Nestorian or Assyrian from the fact that they spoke in Aramaic, the language of Jesus, hence Rabban Bar Sauma’s title which is like the Hebrew, Rabbi. 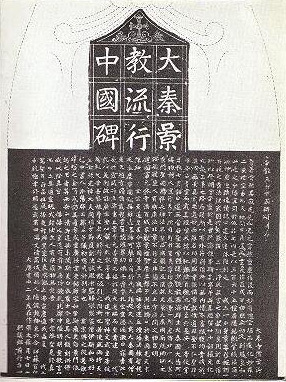 By the 7th century the Nestorians had reached China and began setting up a community exemplified by a stele discovered in Chang’an which refers to the “luminous religion of Daqin” (the Chinese name for the Roman Empire). Rabban Bar Sauma was born in 1220, near Beijing to a weathly family of Uighur Turkic origin (classed as part of the ruling Mongol caste). At around the age of 20 he took the name Bar Sauma (Aramaic for “Son of Fasting”) and became an ascetic monk and a religious teacher. At the age of about 40 (1260) Rabban Bar Sauma and his pupil Rabban Marcos decided to undertake a pilgrimage to Jerusalem. They went by way of Afghanistan, Azerbaijan, and Armenia before going down to Mosul and finally settled at the court of the head of the Nestorian church, Patriarch Mar Denha I, in Baghdad (which they reached in the 1270s). Unable to make their way to Jerusalem due to the incessant fighting in the region between the Mongols (the Ilkhanate), Egyptians, and the Crusader States, the two pilgrims were forced to remain in Baghdad as guests of the Patriarch. However, in 1281, Patriarch Mar Denha I died and the in the subsequent election Rabban Bar Sauma’s companion, Rabban Marcos, was elected as the new Patriarch, Mar Yaballaha III. As the regional wars between the Mongols of the Ilkhanate (ruled by Arghun Khan) and the Egyptian Mamluks intensified it was decided by that the Mongols should seek an alliance with Christian Europe against a common enemy. The Mongols thus turned to their Christian subjects to act as emissaries to the European Kings and the Pope. Patriarch Mar Yaballaha III decided that the best candidate was his old teacher and travelling companion, Rabban Bar Sauma. So in 1287 (at the age of 67) Rabban Bar Sauma left Baghdad as the emissary of Arghun Khan. Fitting his station as a state emissary Rabban Bar Sauma left with a large retinue of 30 riding animals and two interpreters from Genoa, Tommas d’Anfossi and a man simply called Ughetto (Rabban Bar Sauma could speak fluent Chinese, Turkish, and Persian but no European languages). Proceeding through Armenia the retinue traveled to Constantinople and met with the Byzantine Emperor Andronicus II Palaeologus where Rabban Bar Sauma marveled at the wonder of the Hagia Sophia. However the Byzantines, having recently been decimated by the Venetians in the 4th Crusade were in no position to offer help and had entered a period of terminal decline. 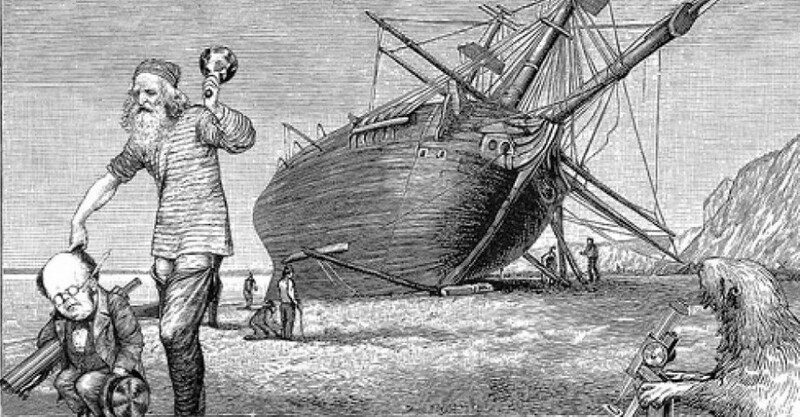 Rabban Bar Sauma’s retinue, therefore, went by boat to Italy to see the Pope, Honorius IV. The retinue went via Sicily where they witnessed the eruption of Mt Etna on June 18th 1287 as well as the naval battle of Sorrento (June 24th) between Charles II of Naples and James II of Aragon (and Sicily). By the time Rabban Bar Sauma arrived in Rome Pope Honorius IV had died. As he had arrived in the midst of a Papal election Rabban Bar Sauma was only able to meet with a few of the Cardinals and make a visit to St Peter’s Basilica. His attempts in Rome foiled, Rabban Bar Sauma spent the winter in Genoa before proceeding on to France to meet King Philip the Fair. King Philip received him with great enthusiasm promising support, giving lavish gifts and sending a nobleman (Gobert de Helleville), two clerics (Robert de Senlis, and Guillaume de Bruyères), and a military adviser (Audin du Bourges) to act as ambassadors to the Ilkhanate. After this enthusiastic reception Bar Sauma continued on to Gascony (then in English hands) where he met with King Edward I (the King in the film Braveheart) in Bordeaux. However, Edward was having his own problems with the Welsh and the Scots and was unable and unwilling to commit troops to an alliance with the Mongols. At this point Rabban Bar Sauma decided to begin the voyage home. On his way back he passed through Rome again where he met the newly elected Pope Nicholas IV who gave him communion on Palm Sunday 1288, and gifted him with a precious papal tiara to give to Mar Yaballaha III. Eventually though the alliance came to nothing as it proved virtually impossible to coordinate two separate armies so far away from each other. The Mamluks would go on to beat the Mongols and the finish off the dwindling Crusader States. Rabban Bar Sauma lived the rest of his life in Baghdad, writing an account of his travels The Monks of Kublai Khan, Emperor of China or The History of the Life and Travels of Rabban Sawma, Envoy and Plenipotentiary of the Mongol Khans to the Kings of Europe, and Markos Who as Mar Yahbh-Allaha III Became Patriarch of the Nestorian Church in Asia. This was translated and published into English in 1928 by Sir E. A. Wallis Budge (online version here http://www.nestorian.org/history_of_rabban_bar_sawma_1.html). Rabban Bar Sauma died in 1294.